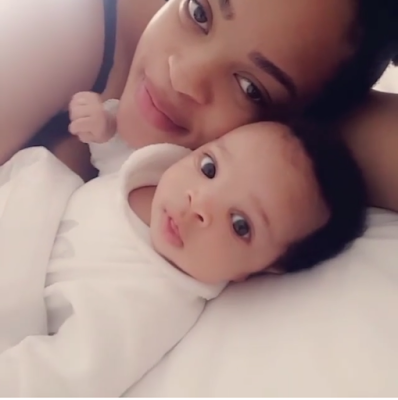 Former Beauty Queen Adaeze Yobo shows off daughter in adorable Mum and Child snap.. The Mum of three welcomed her daughter a few months back. Haven had two boys before we are sure she's happy to have a lil Daughter to play dress up with..